Since 2013, the European Commission has been working on the so-called "Smart Borders" project to ensure the security of its external borders as well as monitor the steady increase of travelers. The Smart Borders project is anticipated to incorporate biometric checks in order to identify previously denied persons who enter the Schengen area, to better identify criminals, identify persons who are staying within the EU longer than authorized and to enable an automated border control process. Pilot tests were carried out for this project at land, sea and air borders. JENETRIC has been part of this pilot project at the Frankfurt Main airport that utilizes JENETRIC’s fingerprint scanner LIVETOUCH quattro for several months. For the integration into the border control system, JENETRIC cooperates with the German Federal Police and the IT security company secunet Security Networks AG. In addition, the study is accompanied by the Federal Office for Information Security and the Federal Criminal Police Office. The Federal Police is particularly interested in obtaining information on the experience of travelers with the autonomous operation of the device. 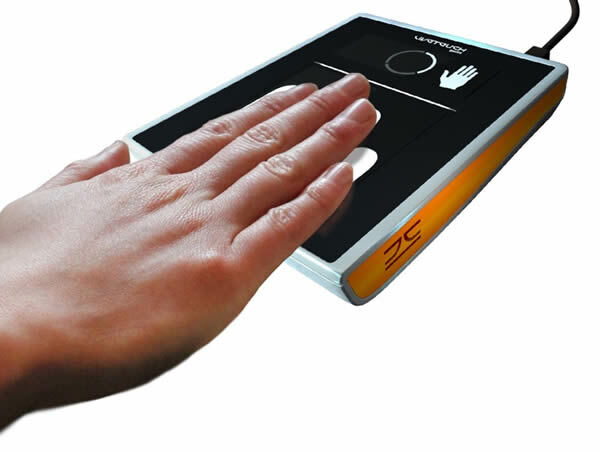 JENETRIC's innovative fingerprint sensor allows for a mostly autonomous operation via a unique, integrated user guidance that combines highest security requirements with ease of use for which JENETRIC received several awards last year. A few months into the pilot, test results confirmed that the capture of travelers' fingerprints was considerably simplified and therefore the officers can now concentrate on the actual verification of the traveler’s identity. "We are very pleased to make a significant contribution to meet the increasing needs for security of borders and we hope that the project will continue to address the future demand for our scanners," says Roberto Wolfer, one of the founders and CEOs of JENETRIC GmbH.